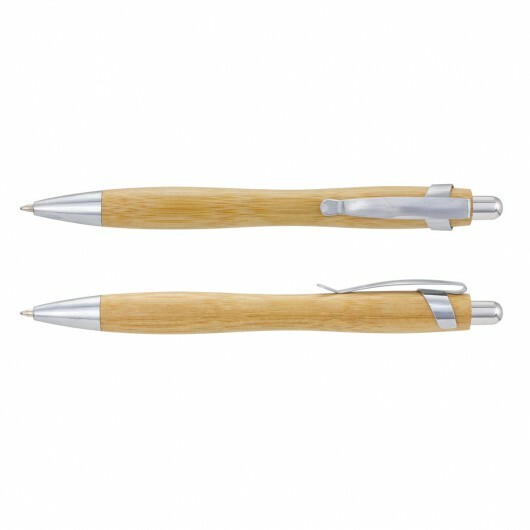 Eco friendly and great looking, these bamboo pens are a great choice. 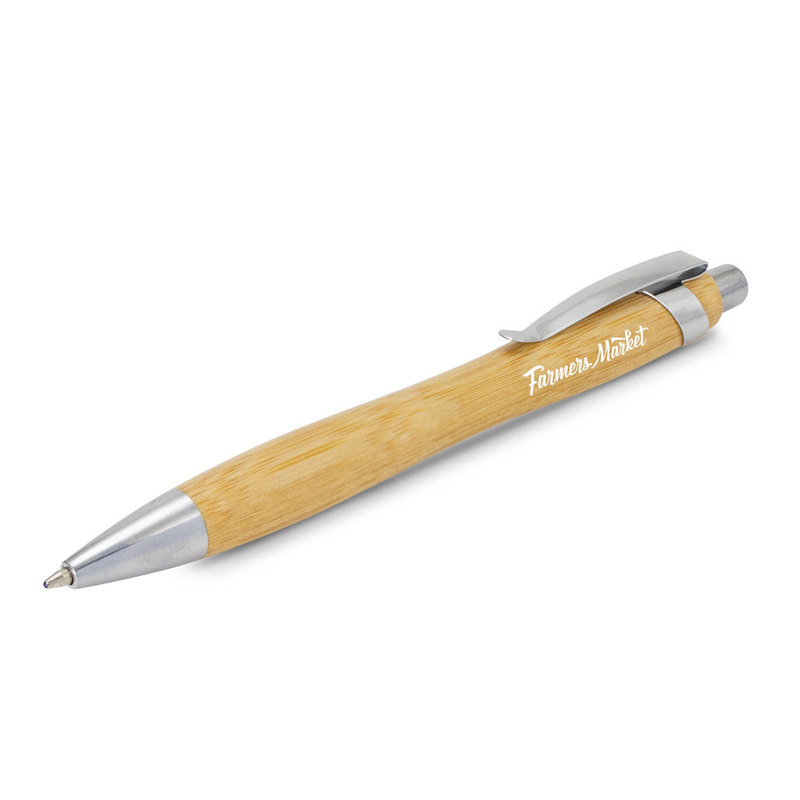 These retractable bamboo pens feature a stylish contoured grip, shiny chrome accents and promote an Eco friendly message. They contain 500m of black writing ink and can be presented in an optional velvet sleeve or gift box for an additional cost. Please note wood is a natural material that produces unavoidable variances in the grain and branding.